Yesterday we told you that Google would be launching a web based version of the Android Market, and the site is now live and it features all the applications that can be found on the Android Market on your Android device. 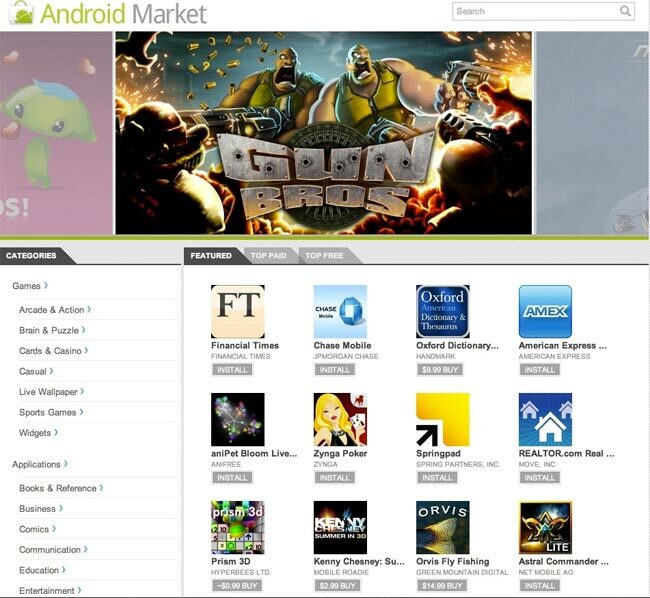 The Android Market website lets you browse and search over 100,000 Android apps in your web browser, and it is designed to make it easier for you to find apps. You can send apps directly to your Android devices from the Android Market website, and it also has a range of built in social networking features that lets you easily share applications through Twitter. You can also sign into the Android Market website with your existing account, and once you click on a section called ‘My Market Account’, you will also be able to see all the applications that you have purchased and downloaded to your Android device.